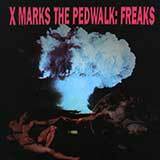 X Marks the Pedwalk have been a mainstay of the Zoth Ommog label since the beginning of the decade. Their debut full length recording, 1991's Freaks (released domestically by Metropolis Records in the summer of 1998), immediately established the duo (then consisting of Sevren Ni-Arb [read "brain nerves"] and Regan Eracs) as a major force in the newly emerging industrial dance genre. The band's sound was infectious: steady cold beats augmented with bouncing sequencers, moderately distorted vocals, and peppered with highly effective voice samples. By 1993, Sevren had become involved in no less than four side projects, with singles or CDs released under the names A-Head, U-Tek, Blind Vision, and Ringtailed Snorter, with stylings ranging from more mainstream electro to moody synthetic soundscapes. The next XMTP CD, Human Desolation, was the first to feature Raive Yarx assisting on keys instead of Eracs, and was the first to garner a North American release. 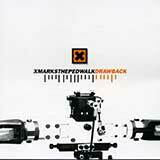 This CD was not as harsh as its predecessor, and cemented what became known as the XMTP sound. This style was carried over to their next release, 1994"s The Killing Had Begun. 1995 saw the release of two CDs compiling all of the band's singles: Abattoir and Four Fit, as well as the start of a new direction for the band with the band's maxi-single, Facer. 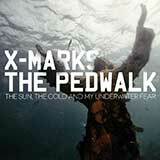 This four song EP was the first to incorporate elements of mainstream techno into their established style, which gave many listeners (who were expecting "Human Desolation Part 3") a bit of a shock before adaptation set in. This new style carried over into 1996's Meshwork, which was met with cries of approval throughout the hard electro scene. 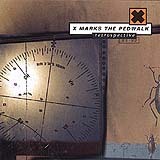 1998s Drawback was X Marks the Pedwalk's first release on Metropolis Records, a CD which took the Meshwork approach to electro and fused it with the percolative and harsher stylings of Human Desolation, resulting in music that more thoroughly embraced all of XMTP's stylistic attributes. Following its release, Metropolis re-released Freaks as Freaks+. For 1999, Retrospective, a sampling of Ni Arb's work to date, was issued just before the band went dormant at the peak of the acts creative output. Now, over a decade later, the legend returns! Inner Zone Journey shows that the musical genius of XMTP mastermind Sevren Ni-Arb has not dulled over time. Never an act to rest on its creative laurels, Inner Zone Journey is just that, a progressive musical document of self exploration.